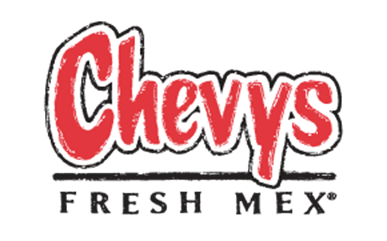 One Mom's Moxie: Chevys Fresh Mex Kids Coloring Contest! Ends April 20th! Chevys Fresh Mex Kids Coloring Contest! Ends April 20th! Does your child or children like to color? 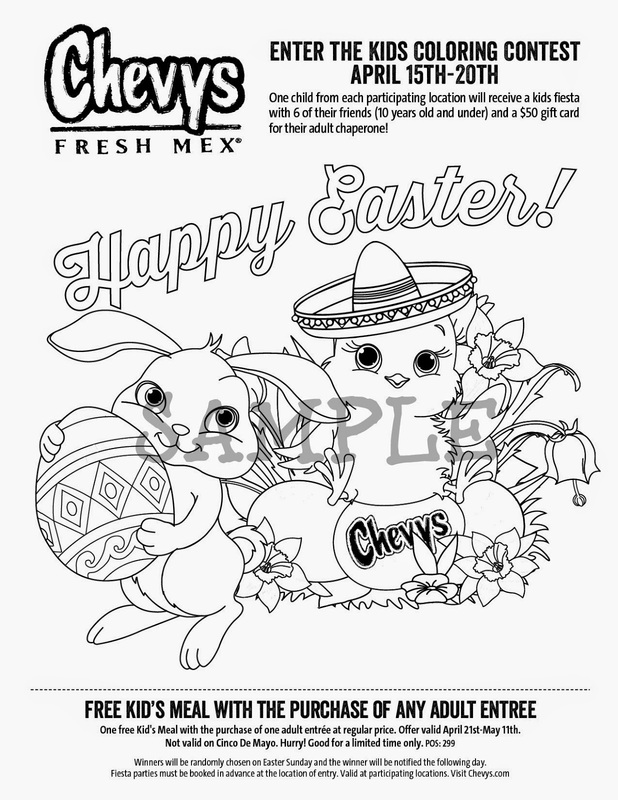 As a way to celebrate Easter, Chevys is hosting a Chevys Fresh Mex® Kids Coloring Contest! One winner from each participating location will win a Fiesta themed party with six (6) of their friends (10 years old and under). That's not all the parent or adult chaperone will also receive a $50 gift card! Contest ends April 20th, Easter Sunday! To enter this awesome coloring contest the coloring sheets will be available at your local participating Chevys Fresh Mex® restaurant. The coloring sheets can be colored at the location or home but must be submitted to the participating location. All entrants must put their contact information on the back of the sheet. All kids that submit will receive a coupon to have a free kid’s meal with the purchase of any adult entrée. Offer valid April 21-May 11.